I hope you’ve had a good weekend as the suns been out out. I went for a little wander into town yesterday and the Trafford Centre today and picked up a few bits so I thought I’d share with you what I picked up. 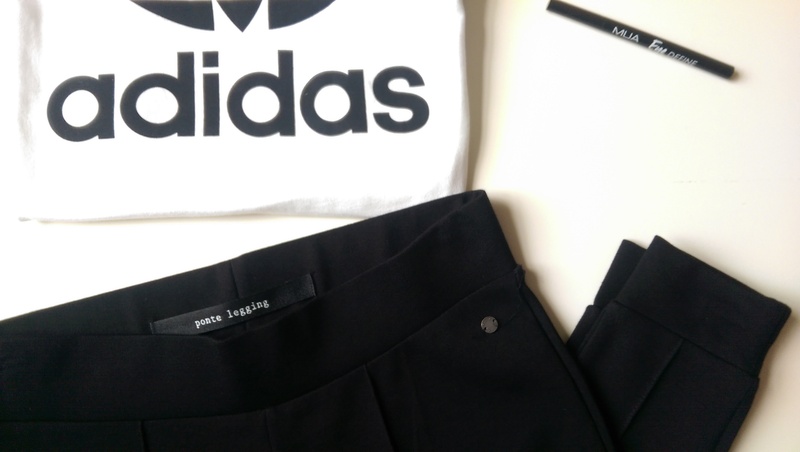 Black Ponte Pintuck Leggings – Next. – I’ve wanted a pair of not just normal leggings but a little stylish and these were perfect! I tried them on and honestly they were so comfy an I just had to get them. White Adidas Trefoil Tee – Topshop. Nobody understands how long I’ve wanted this tee as it matches my superstars as well as I love wearing white. I always love having that sporty look!! I love it; so glad I finally have it! 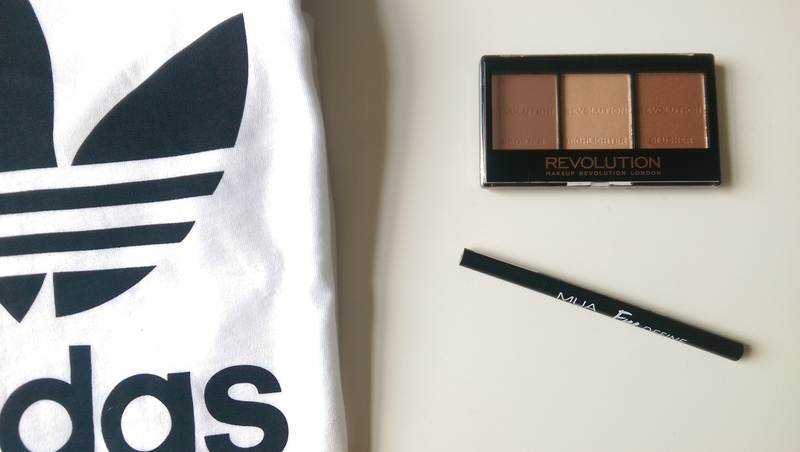 Makeup Revolution Sculpt & Contour Kit – Superdrug. As you know how much I love contouring I thought I’d purchase this to do another make-up look but with a certain budget on drugstore products. I cannot wait to try this and I’ll update with you how I get on. MUA Eye Define Felt Liner – Superdrug. Finally, again to accompany the contour kit I purchased this for the make-up look I’ll be doing also as this was super thin nib I decided to see if my eye-liner flicks were any better, again I’ll let you know as soon as I try it. What have you purchased recently? Comment below. « Ruby red make-up look! I’ve got this same Adidas top on my wishlist, love how sporty clothing has come back in! Yeah,i’m so glad I’ve finally got hold of it!